Their move into an almost derelict house in suburban London is the first step to moving on. Then Zoe finds an old suitcase full of letters, diaries, and press cuttings from the 1930's, belonging to a long-forgotten woman. And it contains something that strikes a chord with Zoe's own pain. She knows she won't be able to rest until she finds out the truth of this mysterious woman's fate. Zoe finds a suitcase with baby clothes and letters and newspaper clippings that sets her off on a journey to find out about the mystery Libby and how the suitcase came to be left in the house. Zoe is in mourning, having too lost a child through an ectopic pregnancy, and almost lost her life as well. Since then things have not been that good between herself and Win and they are drifting apart. Zoe finds herself in tears, Win is his most controlling self and even takes off to stay with his mother because he can't cope. I liked Libby and Zoe and Win, none of them are perfect, but they are very real and I was soon engrossed in the lives of all of them. The story linked really well between the two time periods and nothing was left hanging. Something I really appreciated after reading a book or two where things were "dropped" but never brought to resolution. I liked the growth of the characters, it felt real and ended on a note of hope. Great review Kathryn! This sounds like it is well worth reading. 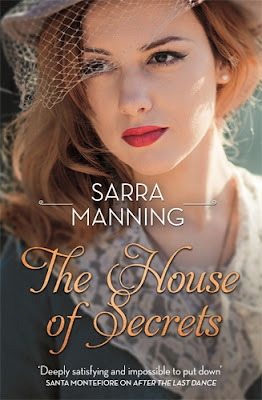 I love a dual time period story with secrets from the past....and what fun to discover what they are and how they link to the present. I always enjoy dual time period stories. This one sounds good. Dual time period stories are great- but surprisingly I've only read a few...thanks for the new recommendation!